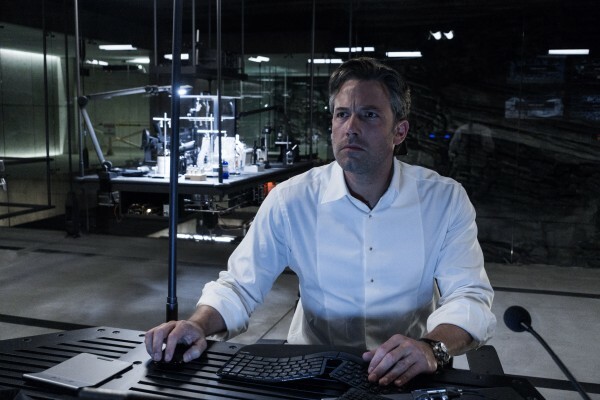 Batfleck’s presence in the DC Extended Universe reaches another level today. While his planned Batman solo flick continues to simmer in pre-production, Ben Affleck has now been elected executive producer of Warner’s Justice League movie, according to Deadline. Working in tandem with Zack Snyder and screenwriter Chris Terrio, it’s understood the actor-director will help craft the film during production, where he will also be reprising his role as the Caped Crusader alongside Gal Gadot (Wonder Woman), Ezra Miller (The Flash), Ray Fisher (Cyborg), Jason Momoa (Aquaman) and Henry Cavill as Supes. On paper, it’s an astute move; Affleck has, after all, long proven his storytelling credentials thanks to the one-two-three punch of Gone Baby Gone, The Town and Argo at Warner – a roster of films that’ll soon make room for one more in crime thriller Live By Night. It’s a streak that has seemingly afforded him complete creative control over that long-rumored Batman solo movie, too, and the added input of Ben Affleck behind the lens – particularly given the flak directed at Zack Snyder in light of the divisive Batman V Superman – can only be a good thing for all involved. But how much will it affect the style and tone of Justice League and indeed Warner’s embryonic DC Extended Universe? Joining that roster of costumed heroes for Justice League are Amber Heard as Mera, Willem Dafoe and J.K. Simmons as Commissioner Gordon. It’s pegged for a release on November 17, 2017, followed swiftly by a second installment in 2019.